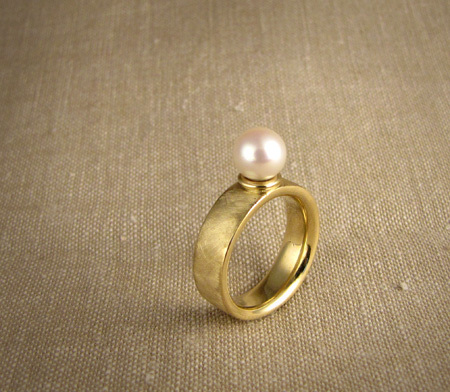 You may remember the pearl ring I made for my sister-in-law Ghezal. The pearl came from a pair of earring studs that she never wore. Here’s where the other pearl went. This entry was posted on Wednesday, September 29th, 2010 at 8:09 pm	and is filed under New work, Rings. You can follow any responses to this entry through the RSS 2.0 feed. You can leave a response, or trackback from your own site.